Networking is all – and Nurole allows both searcher and candidate to go one step further by refining and adding detail. The result: connections that add real value. 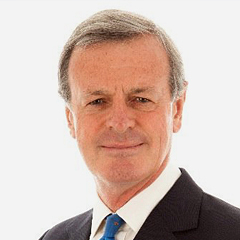 Sir Richard Shirreff spent 37 years as a commander and leader, rising to the highest rank in the British Army and NATO as Deputy Supreme Allied Commander Europe between 2011 and 2014, the most senior position a European can hold. He is currently co-founder of Strategia Worldwide Ltd, chair of Council for the Army Museum and sits on the the Campaign Development Board of 14-18 Now.